What Are the Uses of Pendulums? You probably haven't thought much about pendulums since you last caught Vincent Price in "The Pit and the Pendulum" on late night television. Actually, pendulums are at work every day in construction, recreation, music, ceremony, science and art. Although, strictly speaking, the pendulum's function is to regulate movement and provide measurement, anything that hangs from a focal point and swings in an arc provides a picture of the pendulum influence. Every pendulum is some kind of mass hung from a fixed point that swings freely by the force of gravity and remains in motion until another force stops it. 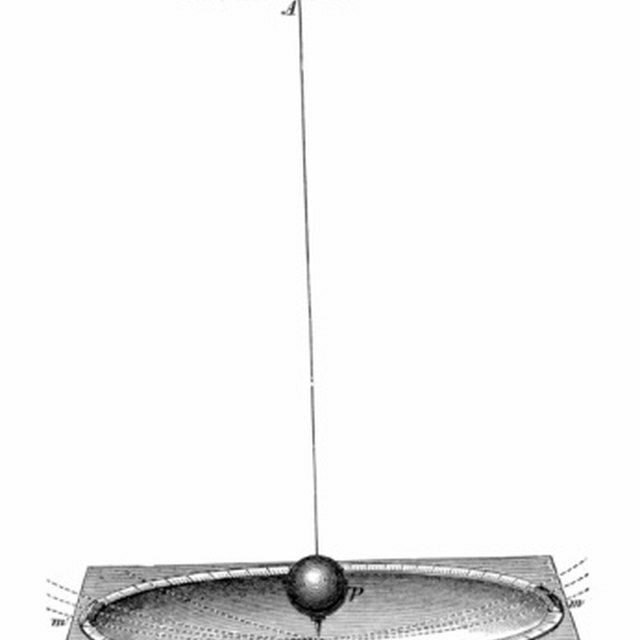 Pendulums play important roles in mechanical clocks, park swings and building foundations. The most commonly recognized use of pendulums is observed in clocks. Many clocks, most notably the "grandfather clock," use a pendulum to tally time. The pendulum swings back and forth at exact intervals determined by the length at which the pendulum is suspended. To measure time accurately, a pendulum clock must remain stationary. Any sudden maneuver of the clock interferes with the regular motion of the pendulum. Until the 1930s, it was the world's most precise timekeeper. In the 21st century, pendulum clocks are most valued for their craftsmanship and beauty. A pendulum is used in a metronome, which helps maintain the speed of music. The metronome dates to the 19th century. It is a hollow box with a pendulum attached to a moving weight with a fixed weight at the bottom. A number scale allows the musician to adjust the tempo desired for the piece being played. The scale indicates the number of fluctuations per minute so the required beat can be matched with the tempo of the music. The thurible or censer is a metal container, hung from one or more chains, in which incense is burned. Incense is sprinkled on hot charcoal and, as the celebrant in a religious ceremony swings it back and forth, smoke rises, carrying the aroma of burnt incense. Historically, people have used pendulum dowsing and divining for making life decisions as well as locating water, gold, oil and missing objects. The belief is that a pendulum works like an "antenna," picking up information from purported energies emanating from people, places and objects. The practitioner holds the end of the device motionless between thumb and forefinger. The user asks a yes-or-no question and the pendulum sways left or right, clockwise or counter-clockwise providing the trained dowser with an answer. Pendulums are popular with witches, who use them to commune with spirit guides. Attend the circus and you see the trapeze artist swinging like a pendulum in the air. Take the pirate ride at the amusement park and become one with the pendulum as your gondola seat swerves in a deep arc from one side to the other. 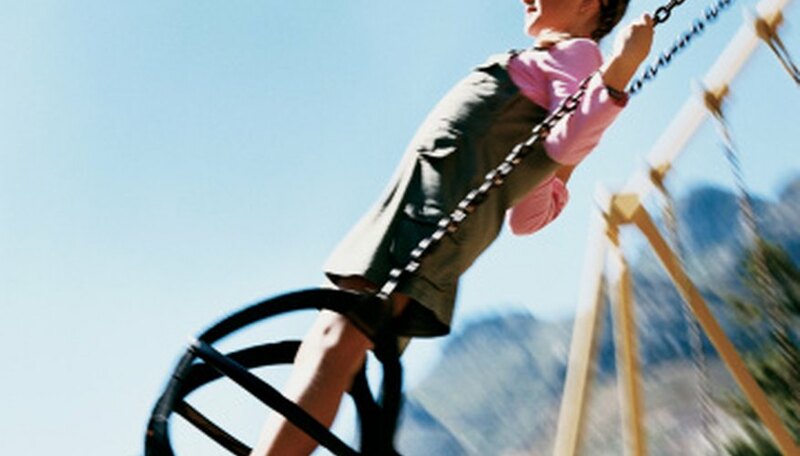 Ride a pendulum when you hop on the swing in your local park. Create a pendulum in the backyard by tying an old tire to the branch of a sturdy tree. The design of the San Francisco International Airport terminal employs mechanical devices called Friction Pendulums to protect the building from earthquake damage. These supports create a pendulum motion that allows the building to sway with the shifting of the ground, thereby reducing the chances of catastrophic structural damage. Industrial buildings and bridges incorporate the same concept. Mary Abel has been writing poetry since 1965. Her poems have appeared in two anthologies published through Poetry.com. Abel also wrote and edited for her collegiate poetry publication in Madison, Wis. She received a Bachelor of Arts in education from Edgewood College. Abel, Mary. "What Are the Uses of Pendulums?" Sciencing, https://sciencing.com/uses-pendulums-8541430.html. 16 April 2018.